Entry fee payment: Follow the Paypal link on application form. open to This exhibition is open to professionals and amateurs. Artists may submit up to two works. All works will be made available for sale on commission. Paper dimensions MUST be A4 size (210x297mm) however, the actual printed image size can be any size up to 180x270mm max. We will carefully mat all prints for exhibition. Judge Announcement Awards will be announced on the AIMPE website on September 5, 2019 (All submitted works will be exhibited at Inbe Art Space). 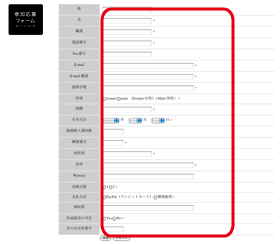 The schedule of award ceremony will be announced on this website. Prizes The AIMPE Jury panel shall choose accepted works and award all prizewinners. (It does not have to be an Awagami Factory brand paper). Works created in 2018 or 2019 are eligible. *Please note that works that have previously won prizes in other contests or exhibitions are excluded. Submitted works can be any type of fine print but the work must be flat. Digital (Inkjet/Giclee) prints on washi will also be accepted into AIMPE 2019. Please hand sign each artwork and include its title + edition number / size. Paper dimensions MUST be A4 size (210x297mm) however, the actual printed image size can be any size up to 180x270mm max. If you want us to return your print, please enclose a sturdy A4-size self-addressed envelope. We will return the print within 40 days following the end of A.I.M.P.E. Please fill out and submit our questionnaire to assist Awagami with future washi paper research and development. 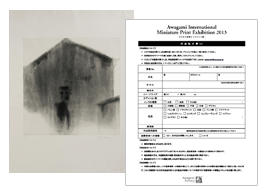 All selected works shall be exhibited at the Hall of Awa Japanese Paper Museum “Inbe Art Space".